B Vitamins are involved in many metabolic reactions within the human body and they play a key role in skin health, immune and nervous system function, muscle tone and the prevention of anemia. Vitamin B – encompasses a group of 8 vitamins that are found in food items, a supplement or injection that contains these sub-types is called a B Complex. B Vitamins are crucial in the normal functions of our body and prolonged deficiencies can lead to health complications. Vitamin B injections are often prescribed to help boost energy and vitality, these injections aid in quick and maximum absorption of the vitamins by the body cells and tissues. Often used by athletes – these injections can give them increased energy to help perform their activities. B Vitamin injections are often used to treat fatigue, dermatitis, depression, psoriasis and anemia and are also beneficial for people who have trouble taking or absorbing oral vitamins. B12 Injections help increase energy and metabolism – a side effect of which is weight loss! Regular B12 shots in combination with exercise and calorie restriction can help people lose weight faster. 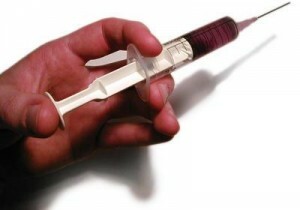 B 12 & B Complex Injections are offered at East Bay Natural Medicine – call 925.937.3266 to schedule one for yourself!